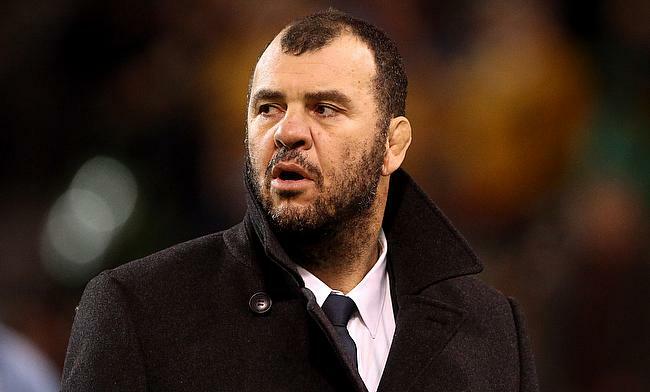 Australia head coach Michael Cheika has recalled Brumbies lock Rory Arnold in the 31-man squad for the next two rounds of the Rugby Championship campaign against South Africa and Argentina. Arnold will play for the Wallabies for the first time this year while Caleb Timu and Brandon Paenga-Amosa also return to the squad after last seen in action during the series against Ireland. Israel Folau, who missed the Auckland Test against New Zealand due to an ankle injury has also been included in the squad that also has Taniela Tupou despite him racing against time to be fit for the upcoming clash against Springboks. Australia are currently the only team in the competition to lose both their games and are languishing at the bottom of the table and are set to face South Africa in Brisbane on 8th September followed by a clash against Argentina in Gold Coast on 15th September. Forwards: Allan Alaalatoa, Rory Arnold, Adam Coleman, Folau Fainga’a, Ned Hanigan, Michael Hooper (c), Sekope Kepu, Tolu Latu, Brandon Paenga-Amosa, David Pocock, Tatafu Polota-Nau, Tom Robertson, Izack Rodda, Pete Samu, Rob Simmons, Scott Sio, Caleb Timu, Lukhan Tui, Taniela Tupou.